Even the most successful people in the world hit plateaus. Whether it’s feeling that your career has stopped progressing, you’re no longer connecting with your romantic partner or you’ve stopped feeling fulfilled when it comes to self-growth, you’re not alone. Michelle Sorro is an established television host and lifestyle expert. Although many people would look at her career and life and be envious of all she’s accomplished, Michelle was still ready for the next step. She felt like her life was stalling. After attending Tony Robbins’ Unleash the Power Within event, she felt prepared to take on new challenges. Unleash the Power Within enables you to push forward to the next phase of success in your life because it makes you question your limiting beliefs. Why aren’t you making strides in your career? Why is it that you haven’t been able to create the fulfilling romantic relationship you crave? You’ll work over the course of the 3 ½-day event to understand and move past your limiting beliefs. “Every single time I come to a Tony Robbins event, my life unleashes to the next level,” said Michelle when asked about her experience at Unleash the Power Within. Michelle has attended numerous Tony Robbins events, and she’s been able to overcome major fears and limiting beliefs in her life as a result. After attending Unleash the Power Within, Michelle gained the strength she needed to quit smoking after 30 years, launch a new business – which resulted in her doubling her income – and found the power to break away from a romantic relationship that was no longer fulfilling. Michelle discovered the power of priming at Unleash the Power Within. Priming is the practice of using actions to take control of your emotions. Breathing exercises, practicing gratitude and visualizing what you want from life are all part of a powerful morning priming practice. This allows you to take control of your state and become better able to go after your goals. What Michelle and others have experienced by attending Unleash the Power Within is not only developing a stronger sense of self and an enhanced ability to go after what they want, but also fostering a deep feeling of community. “Every time I go, I get something to the next level and it gets deeper and richer and I’m able to make a bigger impact not only for my own life, but for the people I love and care about,” said Michelle. 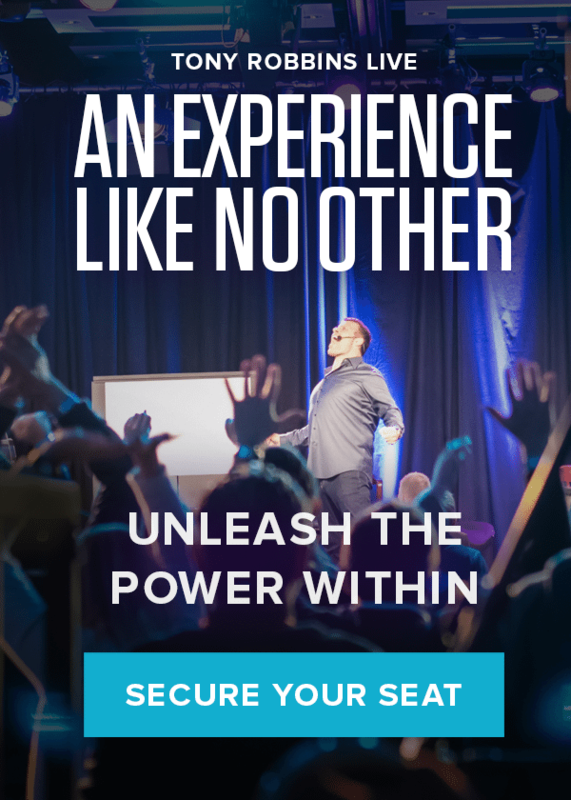 Unleash the Power Within is a transformative multi-day event that will challenge you to step outside your comfort zone, strike down limiting beliefs that are holding you back and move toward a life of gratitude, confidence and fulfillment. Ready to experience the event that will change your life? Discover your true self and sense of belonging by signing up for Unleash the Power Within today.